Time to get your avatar skills up and running. The one who posts after me in this thread will have to rate the avatar I am using. Give it a score between 0 and 10. You can rate it in whichever way you want. It can get a full score due to uniqueness, or because it has some special meaning, or is just simply cool. Or you can give it penalty for it being boring, too general, or anything! Do whatever you want And of course, you're allowed to post more than once in the thread, but never rate your own avatar. So how well would the next poster rate my avatar? It's Link. From Ocarina of Time (arguably one of the best installments of Zelda in the whole series). Bonus point for anyone who knows where my Avatar is from (Be specific!). Gee, what is this? I already considered to ask you @ [url=irc.gamesurge.net]#albion[/url]. Don't know why, but it reminds me too much of Spock from Star Trek. Rating would be 7 if in colour. However it is not Elf-related, is it? It does kind of remind me of Spock... still pointy ears are elfy. And yes, I know my avatar ain't elfy at all. i got me one now aha. mines not elf either. tis kirby as me. KidA's avatar is drizzit d'urden i thought? in that case, its an elf! Well, I cannot really make head or tail of that one. A Pokemon in clothes? the pic looks a bit noisy. Don't you have one in better quality? Still noone likes my avatar of the elf king. Ramesesis wrote: Well, I cannot really make head or tail of that one. A Pokemon in clothes? as me. haa. i wear my urban camo hoody alot, or have one of my band ones on, have a side fringe. lip pierced. and wear skate shoes alot and so on. And I should stop this game! kirby came before pokemon. hes amazing. aha. but he does, fair enough. He's Nintendo's cuddly cutie. Can't give a bad score to him. I dislike the outfit a bit though. As said befor, Its link! Besides the posture is nice. What lowers the points is that the picture could be of alittle better quality. It's green, maybe even a bit too green... But it's a good pic of a Wood Elf in a rather good pose. I'd give it 8/10. I've gotten myself a new Avatar (made by Mel'Reyna). I like purple, and I like Link. This should suit my needs. I like it, Nag. Slaaneshi Link? 8/10. Just to add to Mjateznik's avatar, it looks like a Glade Guard seen through nightvision. He looks kind of surprised too. 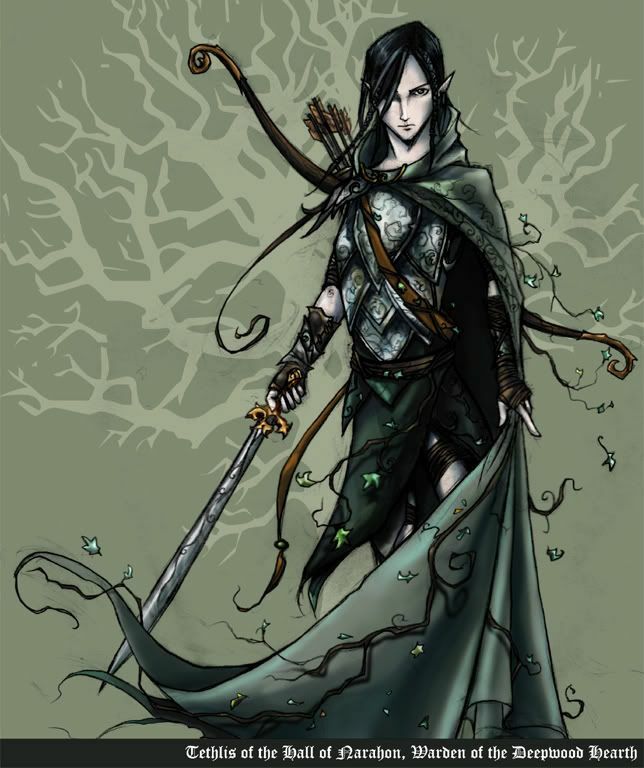 Cool image though, I love the gaunt style of depicting elves. 7/10. I like it, but what variety of elf is it supposed to be? Asur, Asrai, or Druchii? uruk-hai scout wrote: 7/10. I like it, but what variety of elf is it supposed to be? Asur, Asrai, or Druchii? That should answer the question. It paid to make friends with the enemy during the Hour of the Wolf! "Tethlis of Narahon", by Scrivener. Since Tethlis didn't comment, here go I.
I like this one even more. 4 points for Linkness and 4 for artistics but minus for purple. If you could, it would be great to center Links face alittle more. Oh wait, I will have to throw in one more point for it sure is better then the other one. Uruk-Hai's avatar is Midna, from the twilight princess game. I'd give the original pic a 6/10, but it needs some work to be an avatar. Mjat; My avatar was made by Mel'Reyna, and I like it very much. I'd probably move the face a few more pixels to the left to get the second eye in, but it's supposed to be off centre. It's artistic Glad you like it though. Well I can't center it more because that's what the picture you sent me is like, it cuts right after the eye (the whole eye is there actually, just barely). I didn't cut a single pixel off from that side of the image. mel'reyna LOVE THE SIG 10!